– Trying To Prevent Acne? 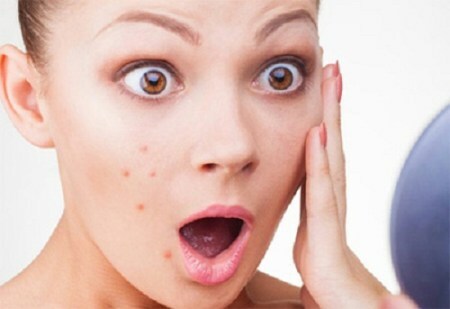 Acne, a skin condition characterized by pimples on the skin due to inflammation of the Sebaceous gland is a common issue among adolescents and adults of both sexes. Here are some ways through which you could avoid and prevent acne. To prevent acne, it is necessary that you wash your face at least two times daily. By doing this, you’re removing dead skin cells, extra oil and impurities from your skin. Use warm water and a soft face cleanser as harsh soaps can irritate already inflamed skin. Washing your face more than twice daily may however be more harmful than helpful. If you’re having a breakout, avoid or minimize use of make up. Its advisable to use oil-free makeup or those labeled “noncomedogenic”. Also ensure you always wash off any makeup used at the end of the day. If you’re already using an acne-prevention product, ensure you properly moisturize your skin. This is because most acne-prevention products contain ingredients which could dry your skin. Try to avoid putting gels, oils, fragrances on your hair as these could get on your face and block your pores thereby irritating your skin. Use a gentle shampoo and conditioner on oily hair as it could add to the oil on your face. If you have long hair, pull it away from your face. Ultraviolet rays from the sun can increase inflammation on your skin, causing hyperpigmentation. This could be as a result of your acne medication making your skin more sensitive to the sun. Always limit the time you spend in the sun, especially around noon. Also use sunscreen with at least a SPF of 30 or higher. You could also opt for longer sleeves if being in the sun is unavoidable. Avoiding greasy and junk foods and opting for fresh foods and vegetables also helps prevent acne. Dairy products and foods containing large amounts of processed sugar should also be avoided as they may trigger acne. Regular exercise benefits your whole body, including your skin. You should however avoid gear or exercise equipment that rubs your skin and may cause irritation. Be sure to also take a bath after workout sessions. Increased stress levels may also result in severe pimples and acne, so be sure to relax and take a break. Also ensure you avoid stressful situations. I think this blog is now making things more easier.